I’m taking it with me. Back or no, I managed to get into the garden yesterday and today. The doctor said I could bend over and it would not make it worse. That’s good news. Of course straightening up is the challenge. Our balmy February continues. The big snow forecast for last weekend failed to materialize. Once again the snow plows were out spreading salt unnecessarily. David and I moved the tiny hydrangea shrub, the third time. I had thought it would be much smaller when it matured, but when I reread the description which said my little 6″ shrub would be 7×7 feet when fully grown, I said unless I want to be constantly hacking on the darn thing to keep it out of our faces, we better move it again. This replanting led us to reposition another stone in the walkway. Of course, the stone would not level. We coaxed it with rain water stored in our barrels, David got his hands muddy, and I jumped up and down on it..the human jack hammer. I checked it this morning but without a good freeze and thaw, which we may never have again, it will not settle properly. Meanwhile, I trimmed the dying foliage on my hellebore plants now coming into bloom. 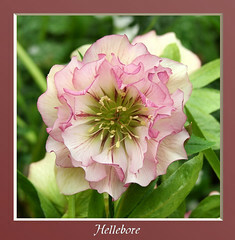 I have two more hellebore on the way from White Flower Farm, supposedly to arrive around “planting time” whenever that is these days. Hellebore grows slowly, so it will be awhile before they are mature. Such is the garden, you wonder as you age just what you will live to see. All I ask is that when I die I fall over into the roses. I went wild and ordered an espresso coffee maker (a real one) during the President’s Day sales. I found it on sale, marked down from $1100 to 700+. I have always wanted the real thing, and when the company that made my Tassimo (Bosch) wrote that they were recalling my model because it spat hot water on the unsuspecting barista, I decided the time had come to buy “the real thing.” It is Krups of course. I went for the automatic model this time which does everything but hold your hand. I tried the older version a year or two ago, but had to send it back because I could not figure out how it worked, and David likes his old drip version, so it was MY problem. This newer model does everything. It takes coffee beans and grinds them, pushes hot water over the grounds into your cup, and siphons the excess water into a holding chamber where the machine uses it to clean the gizmo. It also foams the milk automatically. Supposedly, all I have to do is push some buttons to the settings I want. Will this be more difficult than learning how to use a new cell phone? I hope not. I figure I will pay for it in a few years measured in cups of Starbucks coffee. When I go, I’m taking it with me. This entry was posted in Elder Blogger, Gardening and Gardens, Shopping, Technology and Science by SchmidleysScribblins. Bookmark the permalink. I totally love my coffee machine now. I hope yours brings you as much joy!! Meryl, Thanks for stopping by. Gigi, supposedly the thing is self cleaning. Samantha, thanks for stopping by. Tilly, I am already wired. Patti, this one replaces the one that replaced Starbucks. At first I thought that was a lot of money but if it replaces Starbuck purchases, It will pay for its self in no time. Enjoy. I haven’t done much with flowers yet, just some weeding but today I start my veggie garden. I’m so excited. It was 76 yesterday and due to hit the mid 80’s today, then a cool down to normal. I do believe it is time. If you are waiting for snow….please.please. please! Take ours..it’s a gift from me to you. And talking about age…I always thought that 1 dog year was the same as 7 human years but your vet says 4.8 human years..I wonder which is right? They are the same for a year or two and then dogs age faster. All I know is what I learned at the vet’s office. Good to see you again Patrecia. That is such a pretty flower. We had evergreens that we didn’t realize would grow so big. Now it’s too late and it’s dominating the area. I imagine our daughter will ask us to do something about it when we visit this coming fall. Congratulations on your wonderful new purchase. At our age, it’s time to enjoy what we’ve earned. Yahoo! Thanks Kay. The guilt is dissapating. Everything here was blooming way too early because of the warm weather and then the week-end of below freezing temps and everything looked liked cooked lettuce. 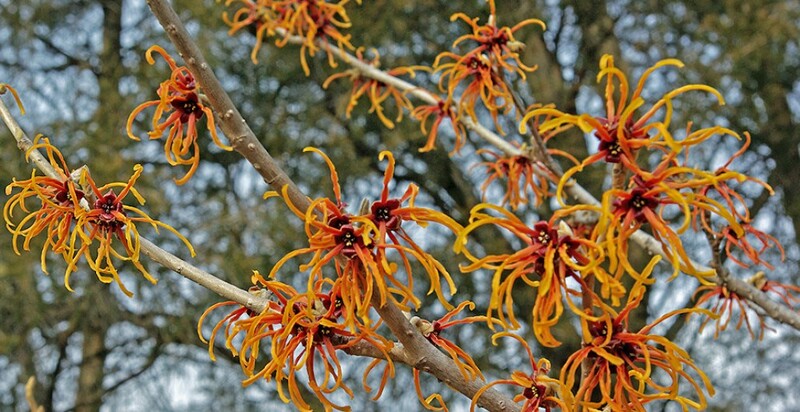 I thought there goes Spring when I noticed that some buds had survivied the freeze and were now flowering. I find life is often like that ,you think the newness and surprise is gone and then you turn a corner and there is a new bud waiting to flower. You’re turning into a philosopher in your old age, or maybe you always were one. Love your humor. And congrats on the expresso maker! Give doggy my love. We have one now; just lost our Scoob at age 6, last week. how do you clean your espresso maker? without a proper cleansing here in Hawaii, the ants and roaches would be all over it. The Espresso machine sounds like the perfect companion wherever you go!…I have flowers blooming for the first time ever this early and I hope they don’t die if it gets cold.